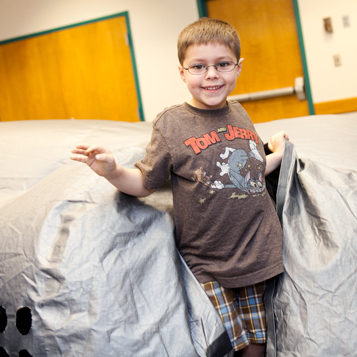 The Museum’s fleet of vans brings live animals, portable planetariums, and hands-on workshops throughout New England. 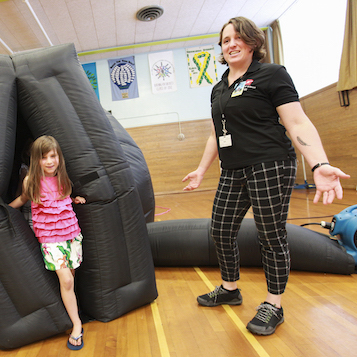 We visit school groups with curriculum-based programming from September to June, and visit libraries and camps during the summer with generalized programs suitable for a wide range of ages. Browse our programs below for details on our individual offerings. Funding is available for qualifying organizations. Please contact travelingprograms@mos.org or 617-589-0354 with questions or to make a reservation. 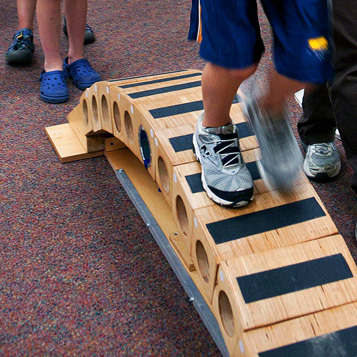 Students listen to an engineering tale, learn about the science of bridges, then design and build their own models. 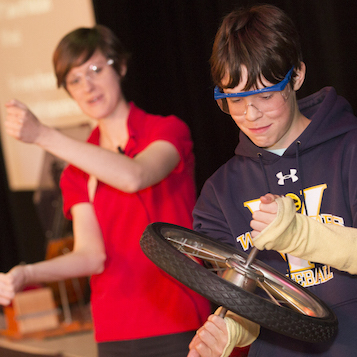 Students explore vibrations, sound, and music through a range of dynamic experiments. Students learn about the difference between naked-eye and magnified observation using binoculars and our simulated sky. 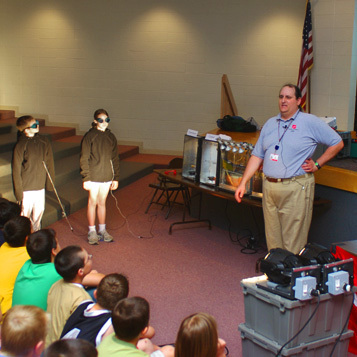 Students learn about the roles temperature, air pressure, humidity, and albedo play in weather systems. Students study the sky, the Moon, and currently visible planets, then discuss the controversy of planet classification. 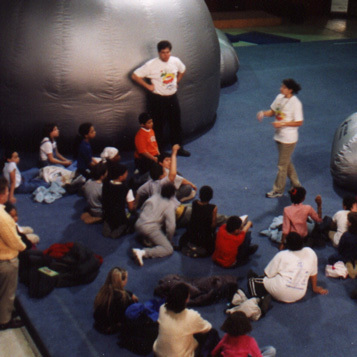 Students learn about the solar system, neighboring galaxies, and deep space. 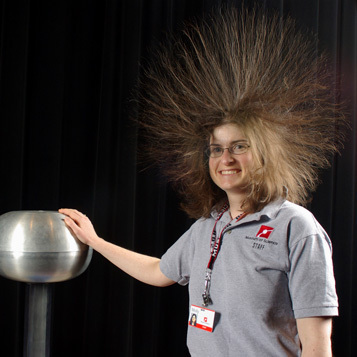 Students learn about the relationship between electricity and magnetism and how both can be used to perform amazing experiments. 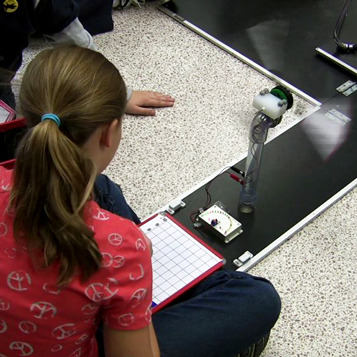 Students explore the role of forces and energy in changing motion. 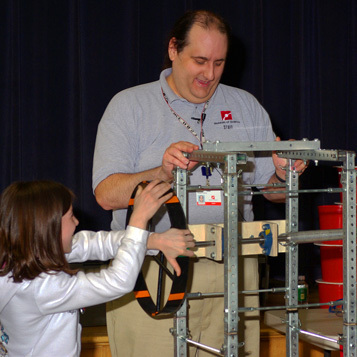 Students explore motion and learn how simple machines work. 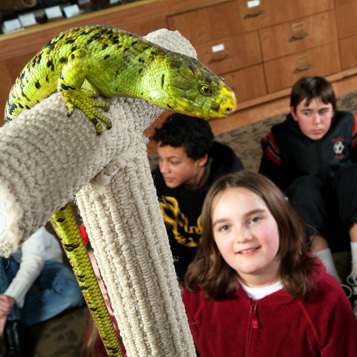 Students explore how living things grow and change while meeting a number of live animals. 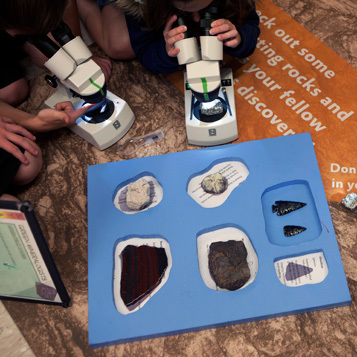 Students identify rock and mineral specimens and develop predictions about their formation. 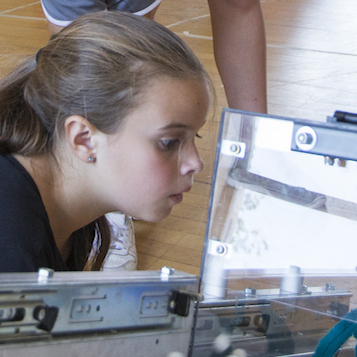 Students explore the engineering design process and build their own energy-producing wind turbine. 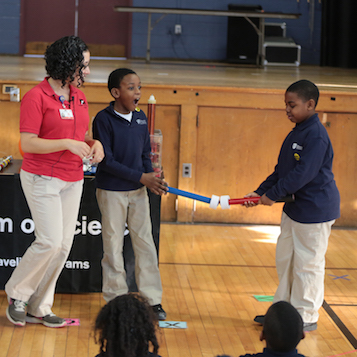 Students learn about the relationship between electricity and magnetism and how we use both forces to perform amazing experiments. 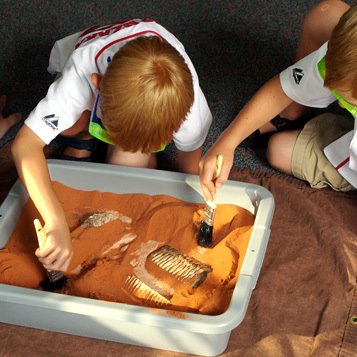 Students learn about dinosaurs by exploring fossils, footprint trackways, and their own mini excavation sites. 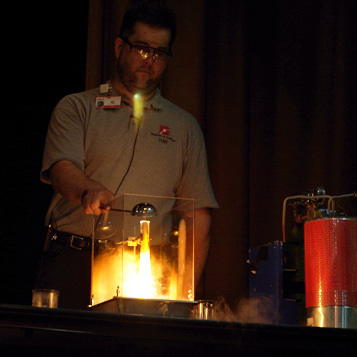 Learn how adding and taking away heat energy can transform materials from one state of matter to another. Distinguish between heat and temperature and the methods of heat transfer: conduction, convection, and radiation. Students explore the ideal habitats for a number of our live animals. 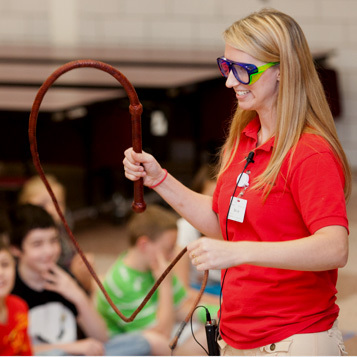 Students meet a number of live animals and explore how all animals develop adaptations to help them survive. There are currently no relevant programs given your current selection. Please try another. 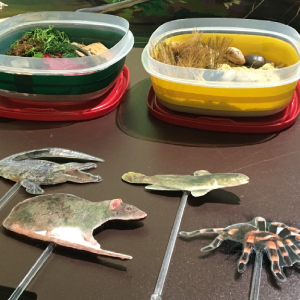 Explore animal engineering with puppets, sensory materials, and hands-on activities, and they also meet a special live animal guest. 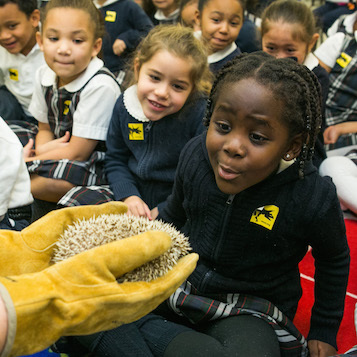 Preschool children learn about light, shadows, and engineering in a pretend trip to the zoo. Engineer a snow-proof house and protect your snowboarder from a perilous avalanche! 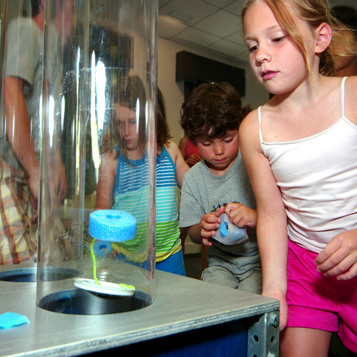 Use liquid nitrogen to explore how dropping an object's temperature can lead to some unusual and amazing effects. 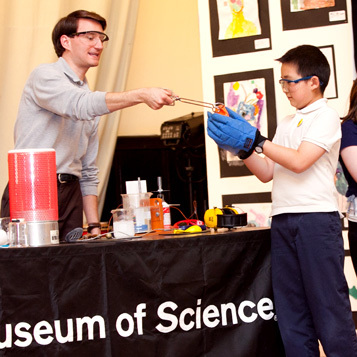 Explore the science behind some classic magic tricks while performing amazing experiments. 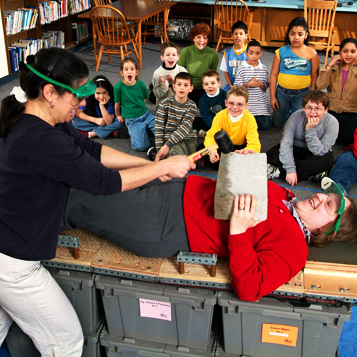 Become a rocket scientist! 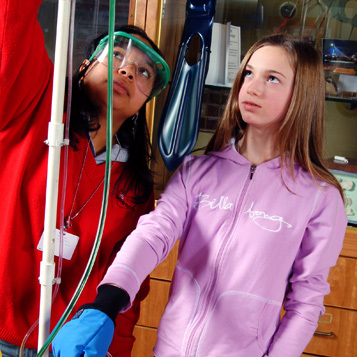 Design, build, and test balloon rockets and re-entry parachutes. 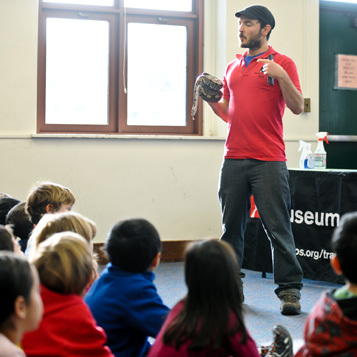 Students meet a number of live animals and explore some amazing reptile characteristics. 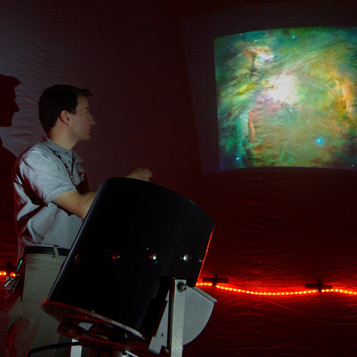 Explore the night sky, and learn how to find stars, planets, and other celestial objects from your own backyard.